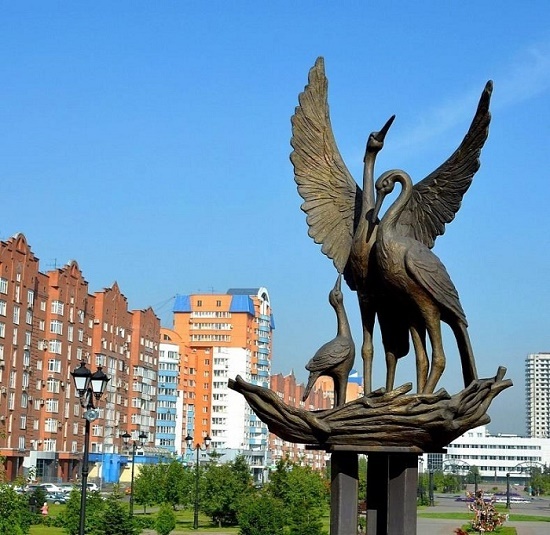 This beautiful sculptural composition “Storks” appeared in one of the parks of the Siberian city of Novokuznetsk. It decorates the area near the brand-new Wedding Palace. In fact, the monument honors the 70th anniversary of the Kemerovo region (October 17, 2012). Located on three stelae the nest symbolizes the foundations of family happiness – faith, hope and love. Meanwhile, since the opening the monument, the sculpture “Storks” has become a real keeper of the family well-being of young couples. The author of the the sculpture (made in bronze and nobly “aged” by the method of oxidation) – Krasnoyarsk sculptor Anton Tyryshkin. 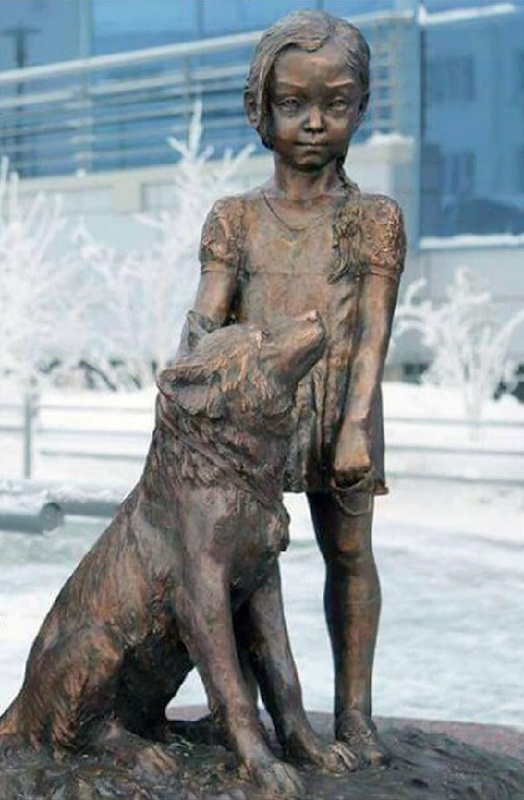 Not far from Kaliningrad, in Svetlogorsk, directly in front of the railway station appeared the “Frog Princess”. Sculptor Oleg Melekhov approached the matter unconventionally, depicting her in the stage of turning from a frog into a girl. It is possible that at first she was a frog. But having caught the arrow, began to gradually turn into a woman, just such is an image of the Svetlogorsk Princess Frog. In this case, judging by the appearance of the girl, she has a clearly Extraterrestrial origin. The residents of Svetlogorsk, however, fell in love with the monument. According to local belief, if you put your finger first to your lips, and then to the frog princess and make a wish, it will come true. 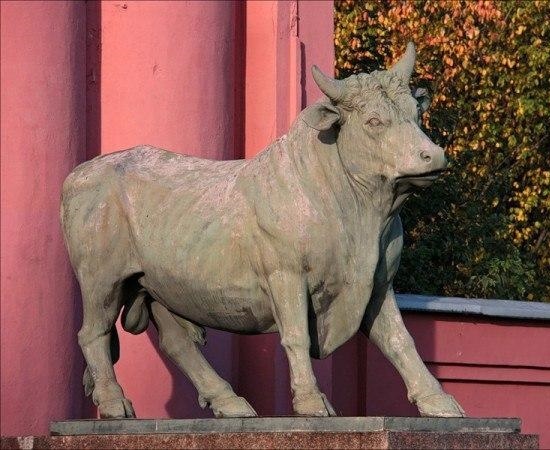 Plausible bulls materialized in St. Petersburg by the famous sculptor Vasily Demut-Malinovsky. 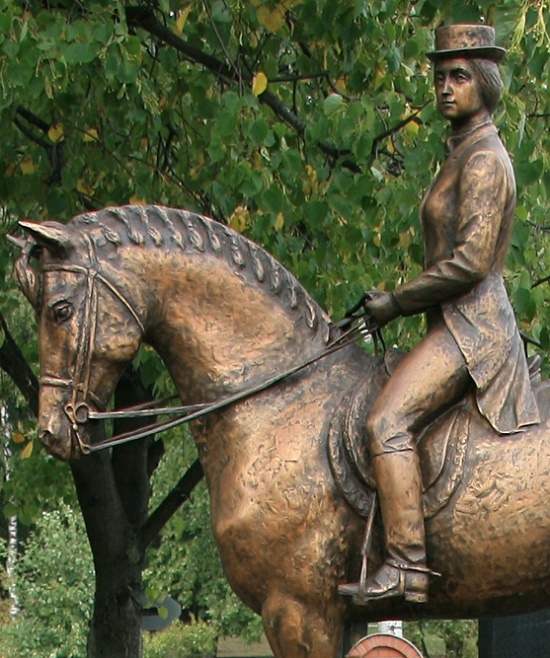 Two colossal bronze figures appeared in 1827 at the main entrance of the Skotoprigony yard at the corner of the Obvodny Canal and the Tsarskoye Selo road. Animals towered above the passers-by, standing on massive granite pedestals. Of course, their realism impressed all Petersburgers. Meanwhile, legend has it that one night to the architect came an extraordinarily realistic vision – they say, the bulls he created came to came to him to bow. The dream struck Demuth-Malinovsky. He said that the vision was bright and full, but could not understand what all this unusual visit in a dream meant. The sculptor shared his story with his relatives, but they could not interpret the meaning either. After forgetting about the dream in 1846, Vasily Ivanovich died. Buried in the Alexander Nevsky Lavra, along with other famous architects. However, the further events took place almost a century later. 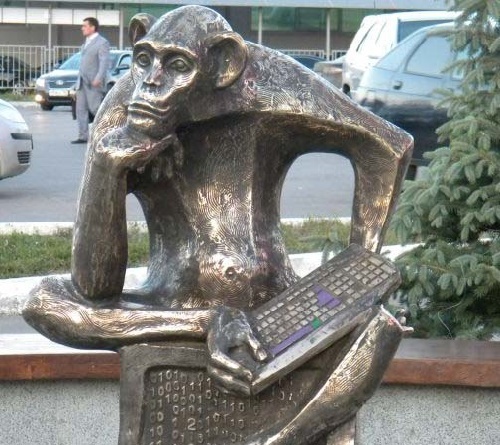 Located on highway Internet user monument in Samara is, in fact, a sculpture of a monkey sitting on a monitor and holding a keyboard in its hand. According to authors of the monument, thoughtful ape is the symbol of development and a flexible mind that easily grasps new technologies. And of course, you can and should make a wish. Type your desire on the keyboard and it will come true! By the way, no letters – so that the desire can be typed in any language. However, according to locals, the monument depicts all operators and system administrators. Meanwhile, the monument appeared 10 September 2010 in the framework of the project “Megaphone gives a legend”. The mobile operator decided to refine Samara and the project conceived five monuments. 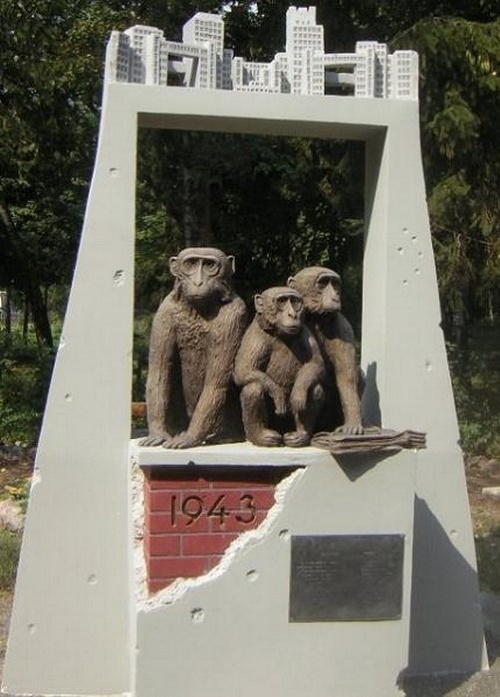 Among them – monuments to the elephant, crocodile, telephone and now – a monkey. The sculptor who created this monument – Nikolay Kuklev.